Maker : Cleartone UK. Battery Cable. modem mount. Icom IC-F5062D Idas NXDN VHF. Both radios were installed into 2 brand new vehicles but were supplied wrong by the vehicle builder. They were never requested back. One still has the film cover on the front of the screen and one does not. Price is for one radio and will be picked at random. I can program these radios to your requirments Analogue or Digital. You will get what you see in the picture. Any questions please ask. Posted with 48hr courier. Motorola MTM800E. gebraucht mit. ohne Zubehör ! Type: MT912M TEA1. 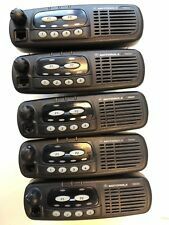 QTY 5 UNITS / "TEST & CLEAN" GM340 VHF MDM25KHC9AN1 sold WITHOUT ANY ACCESSORY. The GM340 is the basic model in the Motorola Professional series with Select 5 (Tone) signaling capabilities. VHF (136–174 MHz). Test & Clean. Supplied with 1 new antenna, 1 new plastic screen, 1 second-hand battery. (the last ones available / more than 20 sold !). No back clip. VHF radio in great physical and working condition. Includes accessories (bracket, mounting screws, mic & clip). 1 x USED SIMOCO CABLE KIT. VHF 136 - 174. Frequency Band & Range 1 x FREE PROGRAMMING (12 CHANNELS MAX). 25 Watts Max. University Campus. Golf courses. Community Events. This is P25 digital capable. 33 P25 Common Air Interface (CAI) – P25 Conventional. 12 Digital Voice. 23 Narrow Band. 22 ProFile. 21 EDACS Security Key (ESK) / Personality Lock. Features enabled 07 EDACS/P25 Dynamic Regroup. Motorola Mototrbo XPR 7550 UHF handheld radio. 403-512 mhz. There are scratches on the clear window covering the display, scratches and gouges on the body of the radio, and the keypad is mostly worn off. Motorola Mototrbo XPR 7550 UHF handheld radio. 403-512 mhz. Radio is mostly clean otherwise. What you see in the photos is what you get. No software or programming cable is provided. CONDITIONS OF SALE: 1. A "TEST & CLEAN" GM360 UHF MDM25RHF9AN5AE sold WITHOUT ANY ACCESSORY. UHF (403–470 MHz). A new GM340 UHF MDM25RHC9AN1 sold complete with a NEW MICROPHONE, a NEW BRACKET and a NEW POWER LEAD in the original BOX (QTY1). The GM340 is the basic model in the Motorola Professional series with Select 5 (Tone) signaling capabilities. A little boy get his team jersey. A mom put food on the table. VHF Base Antennas. UHF Base Antennas. Dual Band Base Antennas. VHF Hand Held Radios. UHF Hand Held Radios. Why buy from us. Radio has been tested and is in working order. Small jumper will be installed to use the internal speaker. If your using a external speaker, just remove the installed jumper. 1 x USED CLEAN SEPURA STP8040 UHF TETRA DIGITAL TWO WAY RADIO. Used clean Sepura UHF TETRA radio. They are all in very clean condition. UHF 440-470Mhz. However they are on a totally different frequency band and under no circumstances can they be used to either talk or listen to the police. A "TEST & CLEAN" GM360 VHF MDM25KHF9AN5AE sold WITHOUT ANY ACCESSORY. VHF (136–174 MHz). Savox C-C500 Lautsprechermikrofon THR880i. für EADS THR880i. Neuware aus alten Lagerbestand. VHF 136-174Mhz. · DMR services (remote monitor, radio disable, call alert). 1 x USED TESTED MIC. Product Images used by Radioswap Ltd are mainly original content taken by Radioswap Ltd. 25 Watts Max. MOTOROLA MSR 2000 VHF POWER AMPLIFIER TLE2532A. Taken from working repeater. MOTOROLA MSR 2000 VHF POWER AMPLIFIER TLE2532A. Great condition. Just bench checked- solid 100 watts out with 1 watt drive. This was just removed from a working unit. Just the amplifier is for sale but I took pics of repeater before removal. Sepura SRG3500W S/E-Gerät. 380MHz – 430MHz. Harris xg15P system model 800mhz p25 phase 2 des Sys group 512 255 65535 Feature 1 4 5 6 7 8 9 10 12 22 23 33 39 47 53 Radio battery and antenna (no charger) UPDATE BRAND NEW RADIO BATTERY ANTENNA AND BELT CLIP...I HAVE 2 OF THESE FOR SALE GREAT PRICE . Das MTP300 ist durch seine überragende Robustheit und die einfache Bedienbarkeit das ideale Werkzeug für den täglichen harten Einsatz bei Anwendern aus Industrie, Versorgung, Kommune, Logistik und Transport sowie aus dem Bereich Öffentliche Sicherheit, wie Polizei, Feuerwehr, Hilfsdienste und Militär. Von der Ende-zu-Ende Verschlüsselung bis zum integrierten GPS Lokalisierungssystem. Das MTH300 verfügt über konkurrenzlose Eigenschaften für den persönlichen Schutz mit einem Höchstmaß an Sicherheit. Die Geräte haben keine bis minimalste Gebrauchsspuren. Ein Akku wird mit geliefert, ist allerdings ungeprüft..
Icom IC-F2000. Condition is Used. PLEASE NOTE: Unit is PASSWORD protected. Will need to be reset / over-written with firmware. Password is for cloning / read and write. Radio turns on transmits and receives. Includes FREE UK Delivery. A test & clean GM380 VHF MDM25KHN9AN8AE sold complete with a MICROPHONE, a BRACKET and a NEW POWER LEAD (QTY1). VHF (136–174 MHz). 2 X NEW D-SHAPE SECURITY EARPIECES WITH INLINE MIC & PTT. With the receivers’ RX circuit optimised to the fixed antenna, talk range can now extend up to 9km (depending on weather and terrain). Built-in self programming allows users to change several settings, channel frequency, Quiet Talk tone or Digital Quiet Talk tone code without using programming software. 1 x USED CLEAN MOTOROLA MTH800 UHF TETRA DIGITAL TWO WAY RADIO. UHF 440-470Mhz. However they are on a totally different frequency band and under no circumstances can they be used to either talk or listen to the police. 1 x USED SIMOCO CABLE KIT. 400 - 450Mhz. CAN BE SUPPLIED ON UK GENERAL UHF OR 70CM HAM BAND. Technical Specification 1 x FREE PROGRAMMING (12 CHANNELS MAX). Radioswap Ltd do not and have never supplied high power radios on PMR446 or any other LPD frequencies. 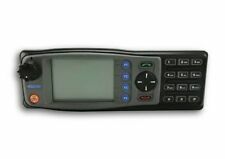 Motorola XTL5000. Bedienkopf XTL5000 / O5. Lautsprecher HSN4032B. Halterung HLN6186B. Halterung HLN6909A. Mikrofon HMN1090B. Stromkabel HKN6169B. Stromkabel HKN6110B. VHF 136-174MHZ. This will not affect the performance of the radios, and they are substantially cheaper than buying the equivalent new product. For sake of clarification: This is a high powered Two Way Radio. The radio has been modified to allow field programming without the need of the software. I have tested the radios for TX and RX. The radio is transmitting at 4.5 watts or better. There is engraving on the back of the radio. 2 x SIMOCO SDP660 UHF 5 WATT PROFESSIONAL TWO WAY RADIOS. YES CONVENTIONAL & DMR. UHF 400-480MHZ. These radios are in excellent condition, and they are substantially cheaper than buying the equivalent new product. 1 x OTE PUMA T3 EX (ATEX) UHF 410-470MHZ TETRA RADIOS. These units are designed to be used on a TETRA network and they are ATEX intrinsically safe. 410 – 470Mhz. Scouts Brigades. Guest Houses. Construction Industry. 1 X NEW GENUINE UHF ANTENNA, PMAE4079A. UHF 403-470Mhz. Our best-in-class audio and unrivaled data capabilities empower people like never before. Voice Encryption fitted Trunking Facility Product Images used by Radioswap Ltd are mainly original content taken by Radioswap Ltd.
UHF 403-470MHZ. 1 x FREE PROGRAMMING. 1 x USED BRACKET. They are ideal for Farming Vehicles, Security Vans, Local haulage firms, Skip hire, Breakdown and recovery and so on. They can even be fitted in site vehicles and fork lift trucks. It is in good working condition and is fitted with an HM152T DTMF microphone. It also has the optional DTMF board fitted internally. HERE YOU HAVE A CHANCE TO BUY MOTOROLA GM350 VHF(66-88 Mhz) LOWBAND TAXI RADIO COMPLETE WITH MICROPHONE.IN WORKING ORDER. Price is for one (1) radio only. TYPE:MD234BA MODEL:M08FHE4AA2BN IN THIS AUCTION YOU WILL RECEIVE 1 x Used MOTOROLA GM350 Radio 1 x Used MOTOROLA MICROPHONE 1 x Short Power Lead CASH ON COLLECTION WELCOME. please take a look at my other items listed on eBay. Motorola OEM HLN3333B Rick-Repeater Interface (withouit any accessory). Este Walkie Talkie XT-220 destaca por su calidad de sonido ya que permite reducir ruidos molestos como el del viento, facilitando así la calidad y un sonido mucho más nítido. Características, Walkie Talkie XT-220 de Motorola. 2 x NEW SIMOCO XFIN 4 WATT UHF WALKIE-TALKIE TWO WAY RADIOS. UHF 400-470Mhz. This covers unlimited sets. Radioswap Ltd do not and have never supplied high power radios on PMR446 or any other LPD frequencies. 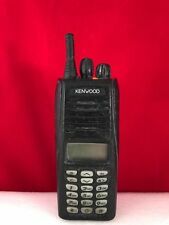 1 x USED CLEAN MOTOROLA MTM800 UHF TETRA DIGITAL TWO WAY RADIO. UHF 410-470Mhz. However they are on a totally different frequency band and under no circumstances can they be used to either talk or listen to the police.